St Benedict’s provides an efficient and effective school canteen to meet the needs of the school community. Open Monday, Wednesday and Friday the canteen provides a selection of fresh and healthy food choices at an affordable price. Parents can order their child's lunch using the Qkr app. 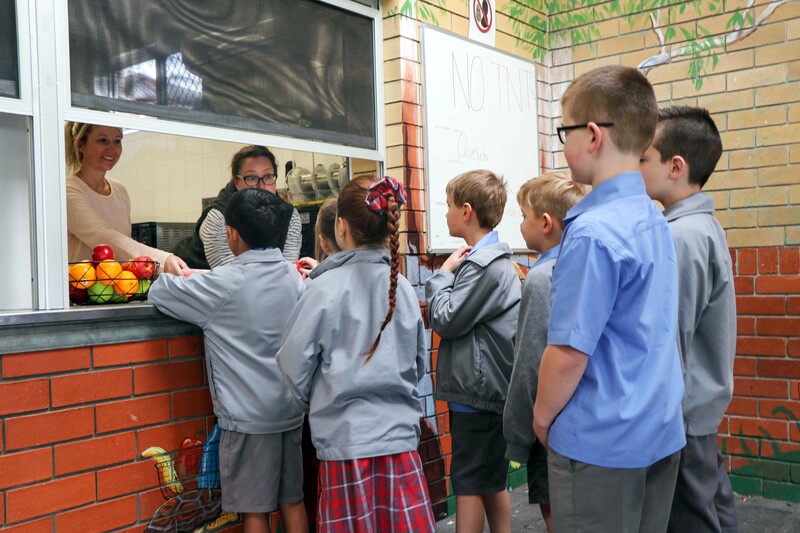 Students are able to purchase from the canteen for their daily fruit break. The diverse range of food offered and an efficient service are only possible due to voluntary help from parents, friends and relatives of students. The canteen coordinator is in charge of ordering supplies.